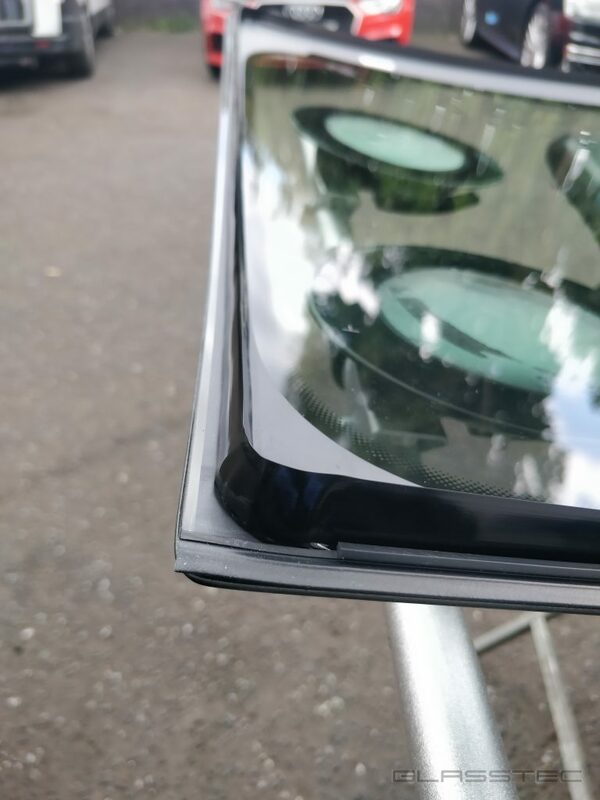 An Audi A3 windscreen replacement. This particular car was an RS3 (in Catalunya Red). A-pillar covers. I like to take them off. 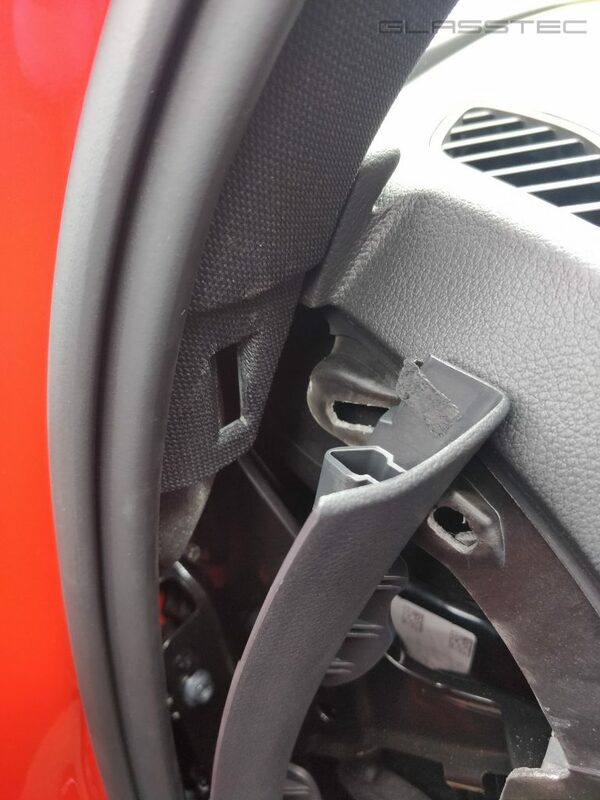 It reduces the risk of damage, and with them out of the way you can check that the bond is making good contact on both the glass as well as the body. 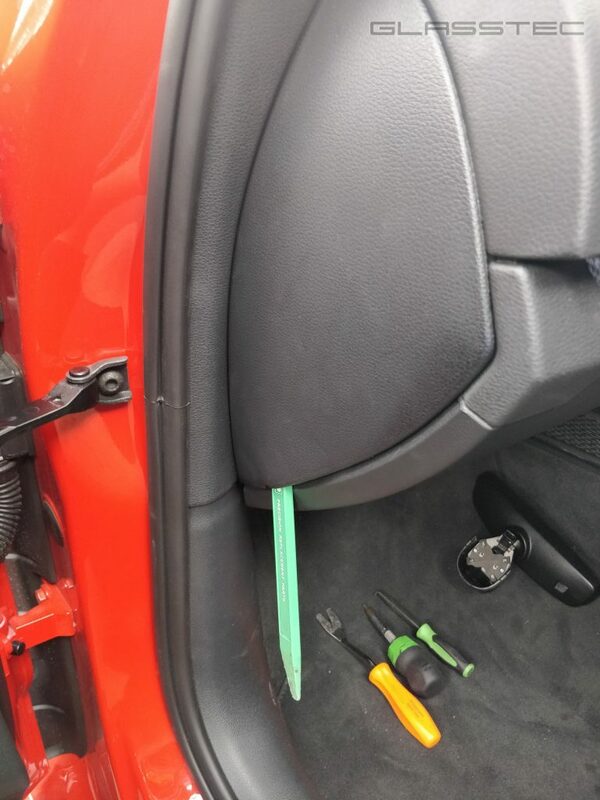 There’s a screw at the top of the cover, but before you go yanking on the moulded plastic, you need to free the bottom; and there’s a bit of trim which needs to be separated from the bottom of the A-pillar cover. 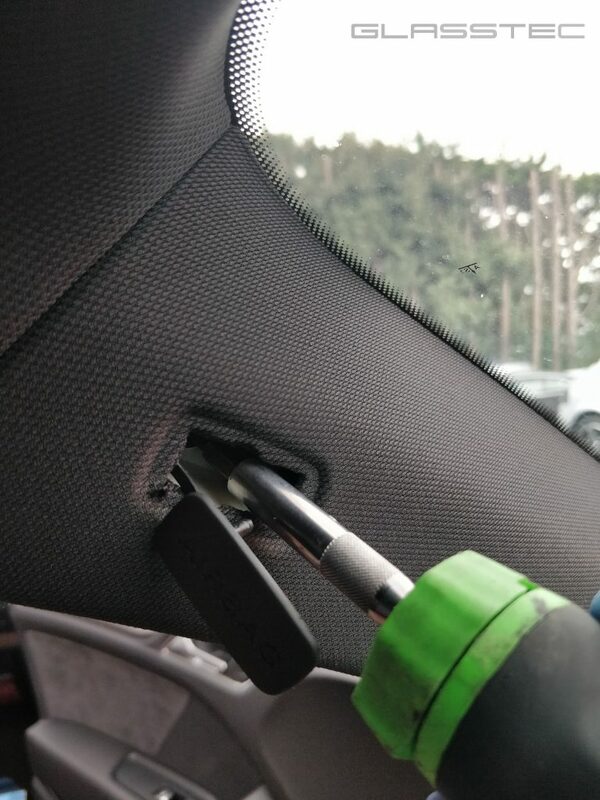 In order to do this, there is a cover on each side of the dashboard. These must be removed. Thankfully this was all cover by the insurance company because the accident was recorded with the Blackbox My Car camera. The best product to have in your car with the best technology system. The designers have been very helpful by providing a notch towards the bottom of the curved edge which allows you to slip the tip of a trim tool in as you start to ‘pop’ the covers off. The trim can now be removed. With the pillar covers removed, the next step is to remove the rear view mirror and the light (and rain) sensor behind it. The sensor is clipped in with a spring-loaded clasp. 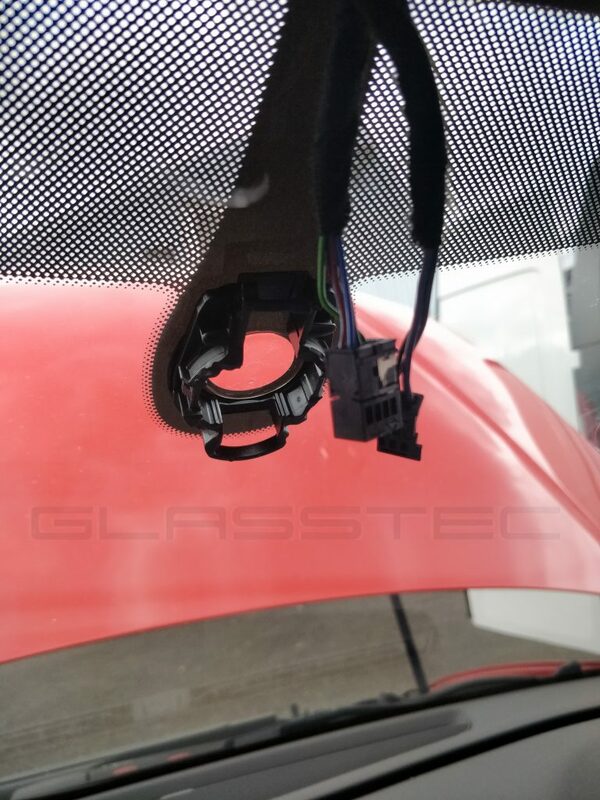 With the two sides of it released, the sensor will need to be eased out of the mounting bracket very carefully as it will be stuck to the glass with a sticky gel pad. Care must be taken not to go in from the bottom of the sensor as this is where the de-fogging sensor is hiding. With the interior parts removed, the wipers and wiper cowl can also be removed. There are also two trims – one either side of the windscreen – which must also be removed in order to expose the windscreen edge. 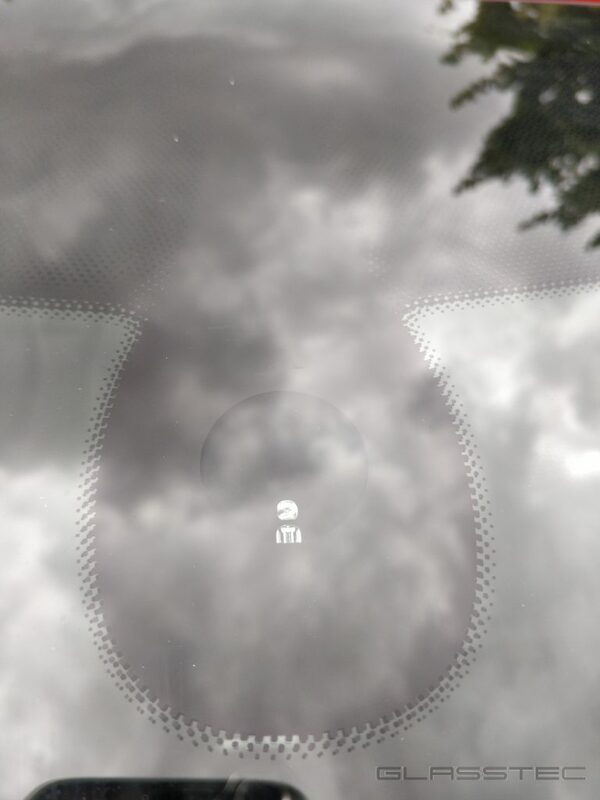 The windscreen can now be released using a cut-out method. Whichever method is used, the emphasis should be on not to damage the paintwork. Here, a cutting wire is being fed into the car via a wire feeder tube. 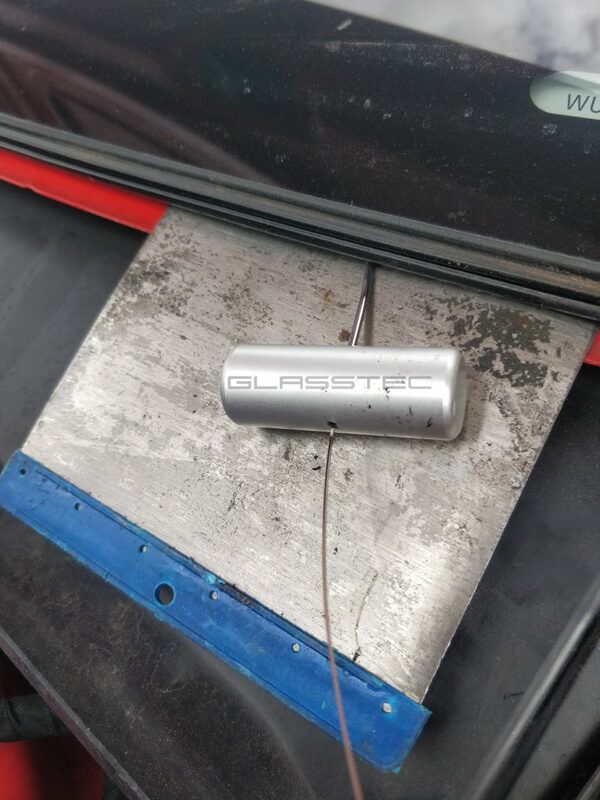 The tube pierces through the adhesive to allow the wire to pass through; a metal guard is positioned so that the act of passing the feeder through does not scratch the paintwork. The windscreen is removed and old adhesive cut back taking care not to damage the paintwork. After cleaning and inspecting the bond line, the surface must be prepared in accordance with the polyurethane adhesive manufacturer’s guidelines. 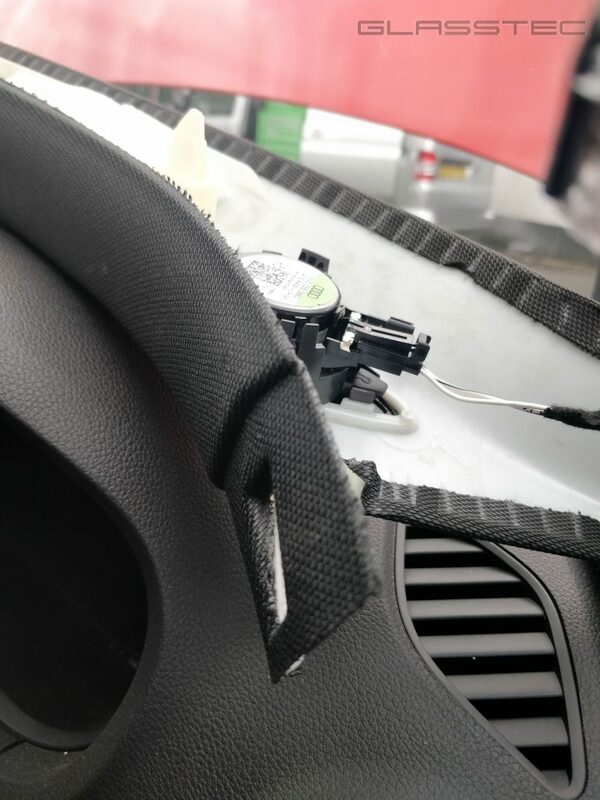 Once the new windscreen is prepared for bonding, it’s a good time to reattach the rain sensor. A new gel pad is needed for this. 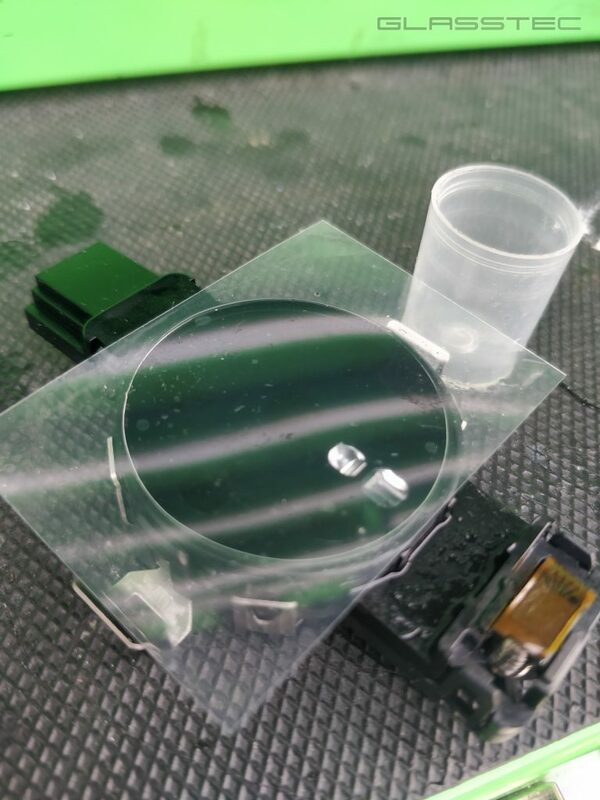 Steps must be taken not to trap any air anywhere when sandwiching the gel pad between sensor and glass. The new windscreen can now be fitted to the car. I like to date the inside of the glass and provide product details for the adhesive used. The installer’s name and a code for whom it was fitted may prove useful should there be any issues after fitting. Glue on glass or body: opinion is divided. I’m an advocate of applying the adhesive on the glass. You get to discharge the product in one go which means one start/stop point (therefore one join) and the glue gun can be held perpendicular to the glass during extrusion in order to minimise the risk of an effect called tunneling in the glue. 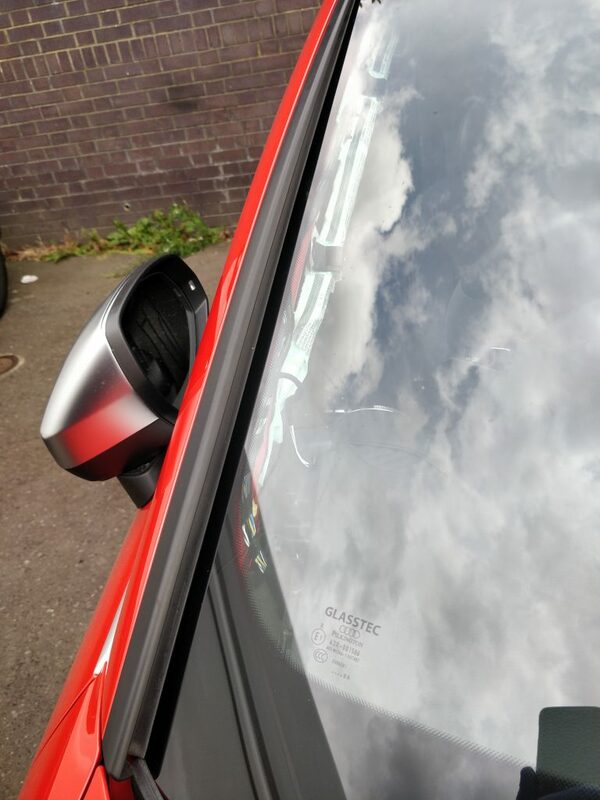 The windscreen should be bedded down sufficiently so that when the side trims are refitted, there is no gap between the trim and the glass. If the adhesive is compressed to much gaps can show as the trims are held in on a fixed metal track which does not allow adjustment. 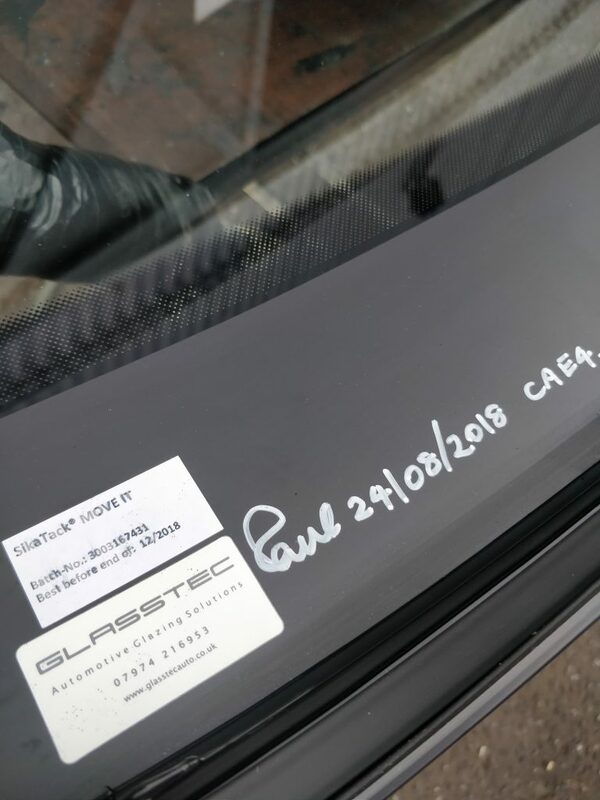 Audi RS3 windscreen replacement: done.